Domestic violence is a significant issue in Wisconsin and one that disproportionately impacts women. According to the Wisconsin Department of Justice, approximately 29,000 domestic abuse incidents were reported to law enforcement in 2012. Nearly half of all victims were ages 18-29 and nearly two-thirds of victims were female. State funding for domestic violence primarily goes to programs that provide direct services to victims, such as local shelters. The 2013-2015 biennial budget allocated $11 million to the building of a Family Justice Center in Milwaukee and $560,000 to the Domestic Abuse Intervention Services Center (DAIS) in Madison. A pilot study was funded to study whether GPS tracking of offenders would protect victim safety. Additionally, domestic abuse grants administered by the Department of Children and Families (DCF) were increased by $1,500,000 over the 2013-2015 biennium. The governor’s proposed budget increases funding for domestic abuse grants by $5,000,000 in 2016-2017. This funding will be used to maintain, strengthen, and expand core services to protect domestic violence victims and their families. In addition to approving the Governor's proposal to increase funding for direct victim services by $5 million, the Joint Committee on Finance (JFC) also approved an addition $1 million over the biennium to fund much-needed civil legal services for low-income families with civil legal needs related to domestic abuse, sexual abuse, and individual-at-risk restraining orders and injunctions. The funding will go to the Wisconsin Trust Account Foundation, Inc. (WTAF), which provides grants to organizations that provide civil legal services to low-income individuals. Grants funded under this appropriation can only go towards serving individuals earning up to or less than 200% of the Federal Poverty Line. While this new appropriation is welcome news for those low-income people who desperately need civil legal services, the state still has a long way to go to adequately fund these services. Wisconsin used to provide state funding for civil legal services to low-income people. However, Governor Walker's first budget in 2011 shifted all of the state funding for civil legal services that were provided by a legal surcharge to other programs. This cut approximately $2.5 million per year in state funding for civil legal services. In fact, until this amendment from the JFC, Wisconsin was only one of three states in the country that does not provide any state funding for civil legal services. For more information on civil legal services to low-income families, please see our blog post on the topic. 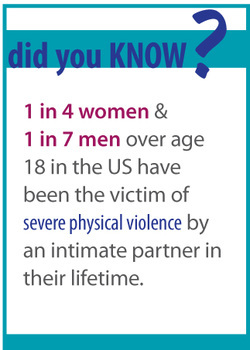 Funding for domestic violence programs and services particularly affects women and girls, as women ages 18-35 experience the highest rates of domestic violence. 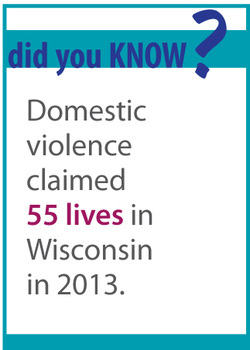 According to End Domestic Abuse Wisconsin, almost 7,000 individuals received shelter and over 29,000 individuals received non-shelter domestic violence services between October 2013 and September 2014. A statewide survey revealed that the majority of unmet requests for domestic violence services in 2013 were for housing, and that a lack of personnel and funding were the primary causes for these unmet requests. It is difficult to know what happens to women who are denied domestic violence services. However, victims service providers report that many women are forced to either return to their abuser or to become homeless. Increases in funding to domestic violence grants are welcome, but further funding is necessary to fully accommodate the needs of women and families experiencing domestic violence in Wisconsin.